The blockchain technology along with cryptocurrency that stands on it continues to progress and adopt from communities all over the world both individually and in companies. This indicates that blockchain is a future technology that will bring our lives more sophisticated, easy, fast, safe and at a low cost. Its decentralized, transparent, safe, fast and cheap nature makes tenology favored by many people. Since its appearance in 2009 until now, this technology has never experienced anything bad like being penetrated by hackers. Therefore this technology is gaining recognition from various circles including from the layers of government in various countries. Already many companies both new and running ones have adopted blockchain technology as one of the technologies included in their operating system. Including a company that we will discuss on this occasion. They are called ARTCOIN. What are they like and how are they? What do they offer? Let’s discuss below. 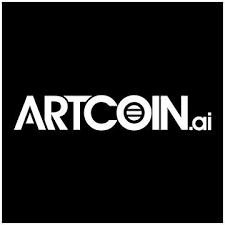 ARTCOIN offers a decentralized platform by building ARTCHAIN ​​solutions. Their platform serves buying and selling works of art while providing digital solutions for various kinds of problems that commonly arise in this industry such as image authentication and documentation of artwork as proof of the authenticity of a work. Why is that, because there are already many cases of fraud by selling artificial artwork that can be said to be similar and difficult to distinguish from the original. Whereas this industry is worth billions of dollars which is certainly very tempting and dangerous if it is not anticipated which ultimately harms artists who have worked hard to produce a work of art. To be able to verify the authenticity of a work of art requires an estimation of time and costs that are not small, which is why to be able to get or buy a work of art you have to pay a lot of money just to verify the authenticity of the work and it is out of the price of the artwork you will buy . This is certainly troubling and makes the art market become saturated because the costs are too expensive. This is where ARTCOIN comes in providing a solution for cheap verification fees and a number of other things. Of course, with the ARTCHAIN ​​platform you usually need information about the development of the art market and various information including authenticity and any works that appear on the market you can see by just using your computer or smart phone anywhere without having to visit the market first. Besides this with the blockchain besides all the information you need collected into one, the solution to transparency and verification of authenticity both in terms of images and documents will be easily done at a low cost. These are the advantages and advantages of using blockchain technology. Here below are some things that are concerned with the art industry that has no effective digital solutions and will be given a solution by ARTCOIN. • Image Authentication: There is no need for a lot of explanation about this, which in essence has not been able to help verify image authentication so far, and ARTCOIN prepares for this. • Documentation: records of the profile and history of a work of art are often incomplete and not stored properly until they are often lost and make verification of authenticity increasingly difficult. • Reporting Conditions: This is important for you to know before you finally decide to buy a work of art including a report on conditions during the trip as well as insurance if something unexpected happens. Including when there are loans for exhibition purposes and others. • Restoration: There are no good recording and storage standards for all the necessary data regarding a work of art such as reports on history, origin, and conditions. • Logistics and Transportation: Ordinary transportation does not yet have insurance due to a fact that says there is no track & trace solution. • Intellectual Property Rights: Artists do not get royalties when their work is resold by the previous pembei, again because of a lack of transparency and information on this matter. • Collection Management: There is no effective digital solution on this matter. There is no accurate data collection and coordination of the owners of artworks so that the management of this collection has not been fulfilled. All of the above problems will be resolved with one ARTCHAIN ​​platform. Of course this will relieve and advance the art industry which has still been using traditional methods and not giving awards to artists even though this is a multibillion-dollar industry. You can find the solution provided by ARTCOIN in their whitepaper. So much information from me, hopefully useful.